As you guys may already know from our previous reviews of the Power Rangers, my daughter is a huge fan. Not only was her seventh birthday a Power Ranger themed, but she's a huge fan of all of the different types of Power Rangers. So when receiving Turbo Volume One, I knew it would be a huge hit with her because she's seen some of the episodes before. Power Rangers Turbo comes with the first 23 episodes of the Turbo series, which is pretty awesome because she's never seen all of them from beginning to end and with volume one, she's been able to watch it from the beginning and love the characters and rangers even more. 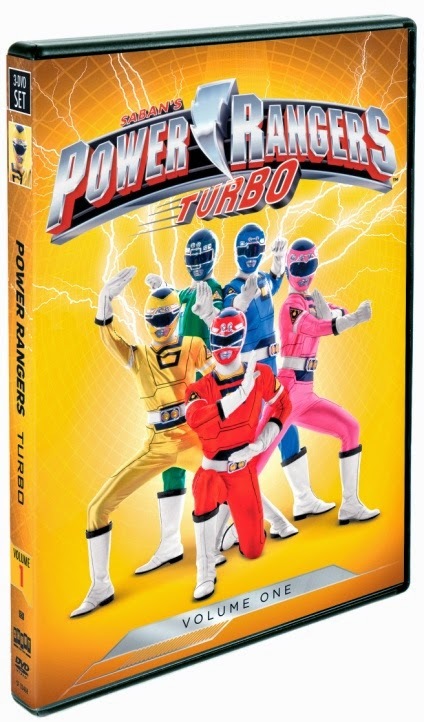 Power Rangers Turbo Volume One is now out for you to buy for the Power Ranger fan! You can get more info by checking out Shout Factory. Disclosure: All opinions are my own. I received Power Rangers Turbo Volume One on DVD at no cost for the purpose of this review. No other compensation was received.